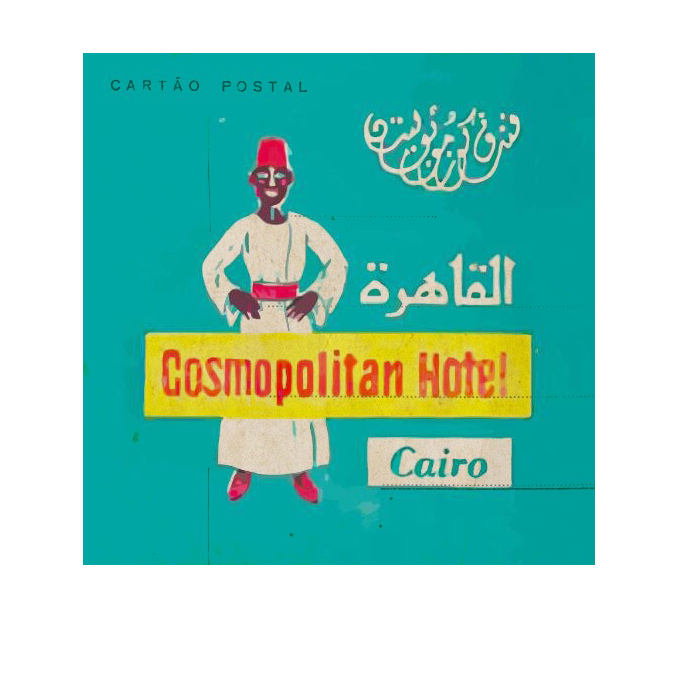 The editors of the anthology present introductions and manifestoes from all across the magazine’s run, nearly all written by Abdellatif Laâbi, already a poet in 1966, in his mid twenties. He edited and largely supported the journal through the years of its existence. In 1972, the year that Souffles and its partner journal Anfas were shut down, Laâbi was arrested, and imprisoned for the next eight years (just two shy of the decade long sentence he received) and he went into exile to France 1985, where he has made his home since. Souffles and Anfas are two separate, though linked, journal efforts. The first, Souffles was launched in 1966 in an effort to encourage Moroccan writers and artists to embark on creative experimentation to further advance post-independence art and literary culture. The goal of Souffles was the reinvigoration of Moroccan culture in whatever languages were available. This editorial decision sidestepped the question of whether continuing to write in French was an extension of the colonial regime. Nonetheless the issue did not disappear and Anfas was launched in 1971 as a signal that the cosmopolitan focus of Souffles could be complemented by a publication with a more explicitly political focus in Arabic. Anfas provided a platform for revolutionary art as a way both to highlight the plight of the Palestinians and to encourage the resistance and secular radicalization of conservative Arab states such as Morocco. Laâbi and Souffles did not limit themselves to only Moroccan writers or local concerns. The journal was a platform for experimental writing and art from across the North Africa, spanning ethnic and confessional communities. Contributors in the anthology include Albert Memmi of Tunisia, René Depestre of Haiti, Emory Douglas of the United States and Ousmane Sembène of Senegal, among others. Two artists who contributed were two cartoonists, Maurice Sinet from France, and George Wolinski from Tunis, whose work appeared in a range of publications including Charlie Hebdo. With the launch of Anfas the clock started winding down for Laâbi and his journals. The more narrowly political Anfas sought a cultural engagement with the failure of Arab regimes to successfully confront Israel, particularly in the aftermath of the disastrous 1967 war, where in the space of less than a week Egypt, Jordan and Syria were defeated. While it remains difficult to pin down the specific reasons for the violent crackdown on the contributors and the journals, the editors suggest that the topics covered in Anfas shifted the perception that the journals were an outlet for a cultural avant-garde and instead were becoming a mouthpiece for a political opposition. Anfas contributors wrote on corruption and problems with education in Morocco. They discussed labor disputes, and expressed an alignment between the struggles in the countries of North Africa with the liberation struggle of the Palestinians. The end of the journals coincided with the so called Years of Lead where the regime of Morocco’s previous monarch, Hassan II cracked down on his domestic enemies and rivals who had sought to launch a coup, increased repression at home against domestic critics and pursued Morocco’s claim over the abandoned Spanish colony in the Western Sahara. Since Hassan II’s death in 1999 his successor, Mohammed VI has presided over a liberalization that has seen the return of figures like Abdellatif Laâbi and Abraham Serfaty to Morocco from exile. In Laâbi’s case it was for visits. Serfaty has sought to resume his political activities as both an advisor to Mohammed VI and as a gadfly to the government. As a resource this anthology is an invaluable contribution to scholars and researchers. But, beyond those obvious audiences, I think policy makers and the general public should take an interest in reading it. This is because the view of “North Africa” or the “Middle East” is, from so many vantage points, constricted, blinkered even. This is particularly the case if the viewer is in the United States. World news stories for the Middle East and North Africa in the New York Times today (September 21) include articles about arming Syrian Kurds, maintaining the cease-fire in Syria, and the appeal to religion as a way to offset the Muslim Brotherhood in upcoming elections in Jordan. There were apparently no newsworthy events in Egypt, Libya, Tunisia, Algeria or Morocco in the last twenty-four hours or so. Those issues that are covered are important, each with critical implications not least for the people in those countries. But they present a partial view of a region whose attributes can be reduced to war, terror and Islam. Even if the selection process undertaken by Harrison and Villa-Ignacio had been less excellent, this anthology would still have been extraordinarily valuable for introducing English speaking readers to the multi-cultural, cosmopolitan and polyvocal world of Morocco that is presented. Furthermore this represents an extraordinarily welcome chance to be introduced to a Middle East/North Africa where the political struggle is defined by aesthetic conflicts over the meaning of words and the meaning of writing and painting, and how these choices work towards decolonizing culture. This is a refreshing shift in perspective from the more mainstream discussions of Middle East/North Africa politics with its emphasis on conflicts grounded in oppression and terror.